On Thursday, February 11th, of last week, we held a Meet & Greet in the cafeteria at the Greenbush-Middle River High School, going on from 4:30pm to 8:30pm during a home basketball game. At the Meet & Greet people from the community were first welcomed by our team mascot! 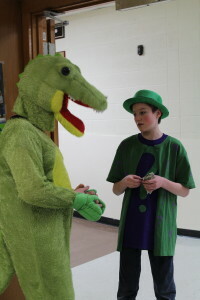 Then they could meet the team members, ask questions about this year’s game, safety, media, robot build, and more! It is still the build season so our Robot was not available for demonstration yet, but people could see our 3D Printer being presented by Callahan Stewart, John Langaas, and Martyn Novacek. Some of the things they printed for the on lookers were a small box and a castle. There were other things on display that they had created in the past like a gear, a pyramid, our team number; 5172, and the game arena pieces. We also had team buttons to hand out to the attendees. 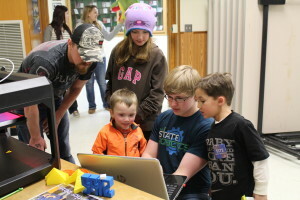 Some of the young kids that inquired about our robotics team even asked to help hand out buttons to people who attended. People could also take part in our Robotics clothing order. We purchased the clothing through Nelson Ink, a promotional product company in Middle River, MN. Overall, it was a great chance to show the community members what our team has been able to accomplish! Be on the lookout for our Team 5172’s reveal video that will be released soon! Our Team Mascot greeting the community members. 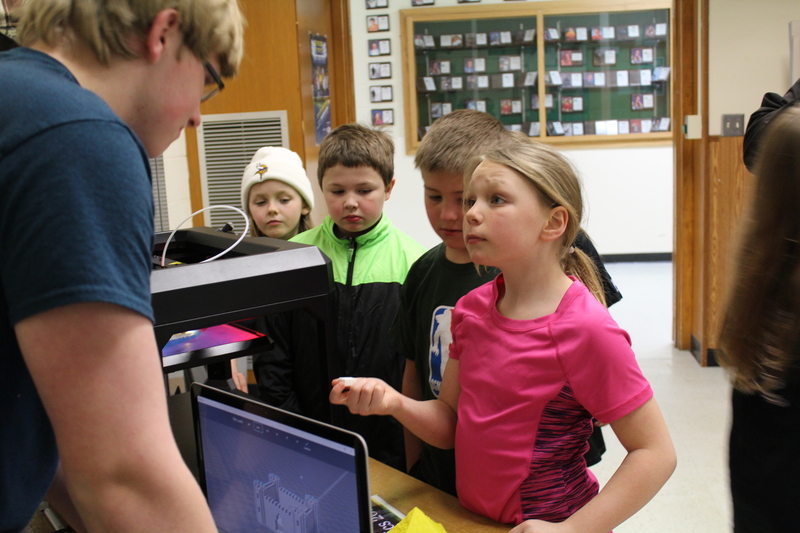 Callahan Stewart is showing some area youth how he programs the 3D printer. Future robotics team members inquiring about the items that were printed.